A tribute to my first team of super heroes (also the first movie I saw in a theater). It is a commission as well from a friend who wanted my take on the Green Heroes of his childhood. 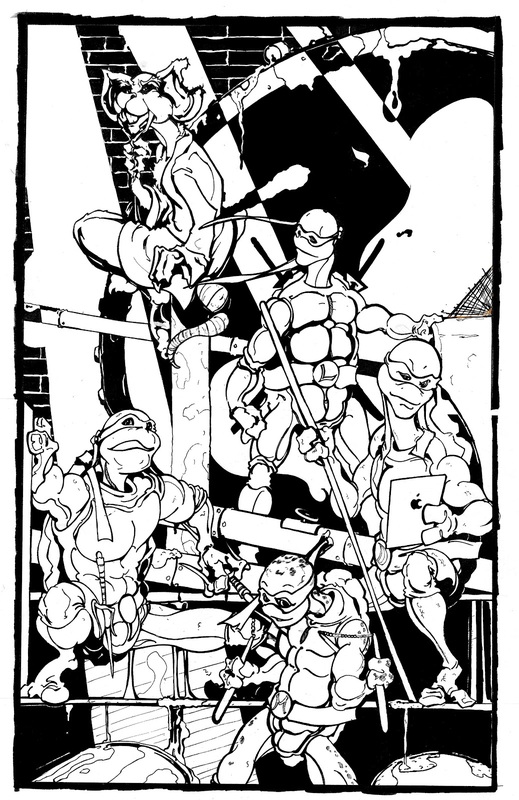 I tried to ink so that colors would have to be more saturated and frank to remind of the comic book aspect of the original Turtles. Note: There is a pun to what year this scene could be happening (the TMNT appeared in the 1980s). Although it is dubious to imagine them enjoying the same freedom of life in the America post 9-11.